An Elite Eight finish doesn’t indicate that a team is worthy of a No. 8 ranking, and a No. 8 ranking doesn’t necessarily mean that the team will finish in the Elite Eight. The Eighth Man Rankings following USQ Cup 11 took that into account, ranking Arizona State University No. 5 after a dominant nationals performance cut short in the Sweet 16 by eventual semifinalist University of Kansas. 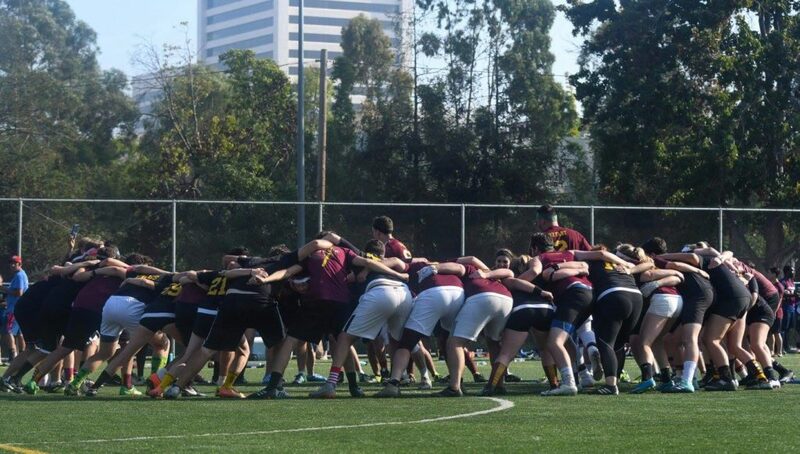 Past USQ Cups have not been kind to Arizona State, resulting them entering bracket play and losing early against top teams such as Texas Cavalry and University of Kansas. Therefore, it is no surprise that after graduating two-thirds of their roster, Arizona State is only ranked No. 10 entering the 2018-19 season. However, Arizona State will exceed expectations, even if only because few other colleges have the tools needed to compete. 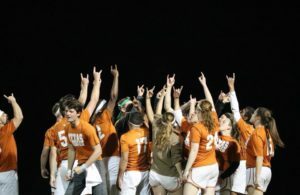 The team will miss the physicality of last year’s keeper line, but after recruiting a ball carrier, they will have the perfect supporting cast to immediately pose a threat. Chasers Colton Lish, Quinn Pitcher and Celia Evans are veteran players who will be able to anchor the Arizona State scoring attack as well as a physical defense. But perhaps the most important returners on this Arizona State team are the beaters. In particular, junior beater Amani Burton was sensational last season and showed his incredible athleticism in the snitch-on-pitch game. He is incredibly hard to predict as a beater, using a wide variety of moves to make opposition miss. It is difficult to shine beside his exceptionally talented teammates, beaters Ryan McGonagle and Caleb Ragatz, but Burton managed to make a claim on the pitch last year. This season, with the departure of McGonagle and Ragatz, expect Burton to emerge as a top college beater as he plays longer minutes and improves even further. 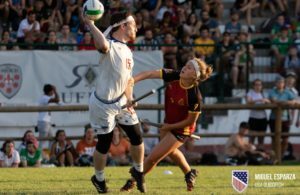 With a top beater and an experienced chaser line, Arizona State will still have to pull stars from their B-team Sun Devil Quidditch and recruit well to be a strong team. This is an easier task for Arizona State than it is for teams like University of Maryland, University of Rochester or SHSU that don’t have the vast recruitment pool a university as large as Arizona State has. Moreover, unlike Rochester, Maryland and University of Virginia, Arizona State will have regular competition with top college teams in UC Berkeley and UCLA to quickly hone the talent of their recruits. No other unranked team, save perhaps University of Missouri, has all of these key pieces. Yes, this is very much a rebuilding year for Arizona State, but it’s a rebuilding year for most college programs. No one is expecting a title run from them this season. However with Burton as beater behind this chaser line, their talent-recruiting pool and their intra-region competition, it would be very hard to imagine a scenario where Arizona State is not a top-10 college team at the end of the season. Looking at last year’s results, Arizona State University should be primed to make a deep run this year. 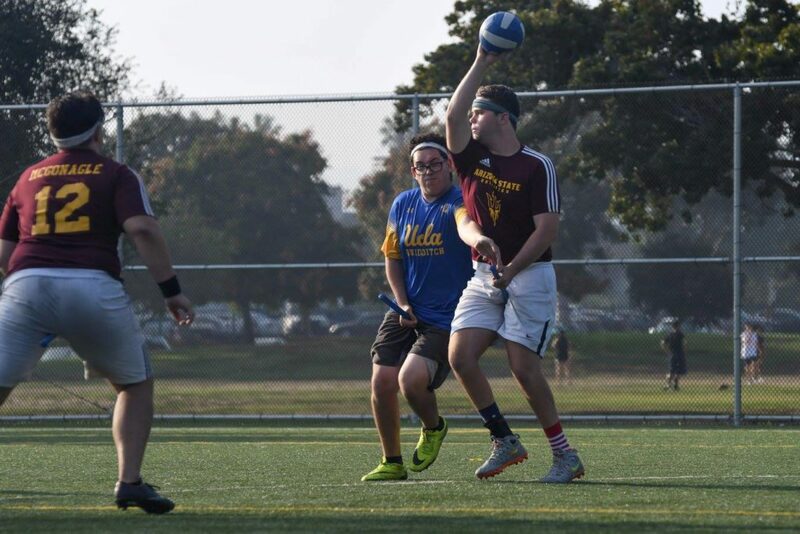 This perennial college powerhouse concluded the 2017-18 season with signature wins over the Nomads at the Heroes vs. Villains Invitational and University of Maryland and eventual national champion University of Rochester at USQ Cup 11. Arizona State only bowed out in the Sweet 16 due to an unlucky, early draw of University of Kansas, barely falling 100*-90. But with the most significant graduating class in the country, Arizona State will struggle to find their footing throughout the year and finish outside the top 10 come April. With 15 key graduates and transfers, this squad will find it difficult to compete on the same level they did last year, especially against other top West collegiate competition such as UC Berkeley and UCLA. Their small group of returners will be led by beaters Amani Burton and Kasandra Rascon along with chasers Celia Evans, Colton Lish and Quinn Pitcher. 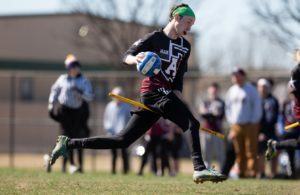 Burton is one of the best beaters in the collegiate division, but will find it difficult to carry a team of 15 new players. Although all of these returners come in as upperclassmen, Arizona State will need significant time to develop ball carriers and beaters, arguably the two most difficult positions to train. Arizona State will sorely miss their top three keepers in Dylan Bryant, Jared Moreda and Brentlee Cass, along with key beaters Ryan McGonagle, Jarrod Bailey, Caleb Ragatz and USNT’s Vicky Sanford. Losses of this caliber are almost impossible to overcome for any program outside of the state of Texas, and Arizona State is no exception. Another weakness for Arizona State will be their chaser defense. Last season, they struggled against agile and quick ball carriers such as UCLA’s Ryan Harris and Cal’s Jordan Tate, both of whom were able to run circles around the larger Arizona State chasers. Lish and Pitcher both have a similar build to Arizona State’s former big-bodied chasers such as Thomas Frampton and Bryant, making it difficult to contain faster quaffle players. Arizona State will have to rely on senior Celia Evans to develop new recruits to counter this weakness along with a more pass-heavy offense due to their lack of dominant beaters. Arizona State will undoubtedly find talented new recruits to fill the holes left behind by this graduating class–the student body is simply too big not to–but will they be able to rise to the level of the veterans? I think not. This won’t be Arizona State’s year to crack the top ten. Forks down, Sun Devils.